In the midst of the lowest oil prices our nation has seen in six years, it’s easy to forget that the primary energy source in the world is in finite supply. Fracking and extraction from shale have enhanced the potential amount of obtainable oil (and America’s total reserves have the potential to be the highest in the world), but these means are still limited by the Earth’s reserves. In fact, British Petroleum projects that we will deplete the Earth’s oil reservoirs in roughly 50 years. With this sobering reality looming over our heads, we can look to recent advances in the biotechnology of biofuel production as a potential solution. 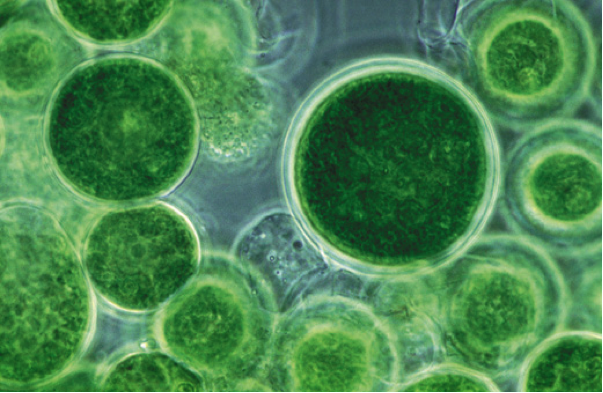 Moving beyond bioethanol, the unsuspecting platform of algae may be the most promising. Furthermore, solar, wind and hydro cannot be controlled with an “on and off” switch. Rather, the electricity generated must be used immediately or stored in batteries and is considerably more expensive than fossil fuels. On a large scale, a coal mine or oil field, for instance, yields five to 50 times more power per square meter than a solar facility, 10 to 100 times more than a wind farm, and 100 to 1,000 times more than a biomass plant like corn. If we want to avoid hitting the brick wall of a global energy drought when we tap our final oil reserves, we must do what humans do best: solve the problems we have created ourselves. Big oil and other major players in the market are highly cognizant that current petroleum supplies are finite, so they have been heavily investing (i.e. BP has invested $4 billion since 2005) in alternative energy sources to alleviate our dependency on classic fossil fuels. A significant portion of this funding is focused on biofuels, which might be the most realistic answer to the fossil fuel issue. Biomasses to Bioethanol. The conversion of cellulose (a prolific sugar produced in plants), such as corns and sugar cane, to ethanol through chemically catalytic procedures has been a major prospect for ridding petroleum dependency for 20 years in the U.S. 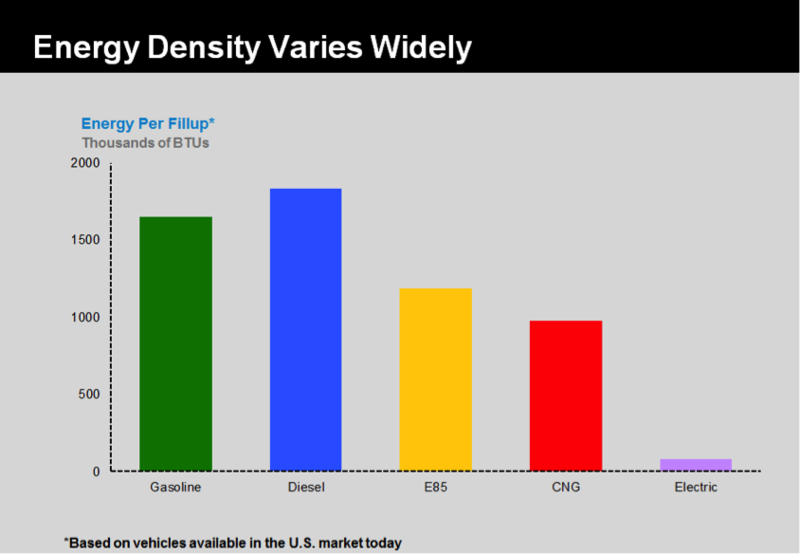 Unfortunately, it turns out our existing combustion engines can only handle 10 percent ethanol mixtures with our gasoline (denoted as E10 fuels) on average, unless the engine has been modified or produced (flex-fuel engines) to handle 85 percent ethanol (E85 fuels), which is much less common. In America, there are roughly 10 million flex-fuel vehicles out of the total 250 million, so an infrastructure turnover is required for ethanol to be a plausible alternative. The utmost defeating point for the ethanol argument is that oil yields 50 times more energy than ethanol from corn and 10 times more than ethanol from sugar cane, according to ecological economist Cutler Cleveland. If we were to commit to ethanol as a petroleum replacement and ethanol were the sole source used to achieve the 2020 federal mandates for renewable fuel, then 100 percent of the corn currently available in the U.S. would be required. To meet these mandates and maintain today’s 30 percent corn crop utilization would require an increase in corn harvest by 423 percent. Therefore, the need to continue to supply our engines with the classic “fossil fuel” hydrocarbons is realized and we look to biofuels such as biodiesels for a new potential answer. Biomasses to Biodiesel/Gasoline. Many currently available biofuel products solve the problem by using the catalytic process of fermenting biomass like plants and sugars to biodiesel, gasoline and jet fuel. Recently formed companies like Virent Energy Systems convert sugar cane and other biomasses into biofuels and were successful in bringing these products to market with the backing of Shell, raising $46 million four years ago. Despite this method of biofuel production being much more viable than ethanol, the impracticalities of its production process are similar to those for ethanol. The land required to grow the biomass is the limiting factor for this method of production; to chemically produce massive quantities of biofuel, massive quantities of plant-derived biomasses are needed. BP and Shell’s reduced investments in biofuels in 2013 suggest big oil companies are realizing that the land-driven limitations of producing ethanol and biodiesel are insurmountable. It can be suggested that the land-driven limitations of producing ethanol and biodiesel were realized and have led to big oil’s dip in investing considering that in 2013, BP and Shell reached a seven-year low with their biofuel investments. Although big oil has become apprehensive, institutional investment firms have been compensating by taking action, as the technology in this space has been continuously innovated over the last decade. Popular tech VCs such as Khosla Ventures are making their mark by investing in companies such as LanzaTech, which completed its series D of $112 million in December 2014. It seems as though there is still a sense of confidence in this sector of the industry to produce economically viable fuel products to contribute to easing the dependency on classic fossil fuels. As big oil players became discouraged by the obstacles of producing bioethanol and chemically produced biofuels, a revolution in the production of biofuels is occurring — more specifically, with a focus on algae (microscopic, single-celled, plant-like organisms with photosynthetic abilities). Regardless of whether big oil pushes the innovation forward, the consistent availability of government grants has birthed a plethora of academic research and increased the amount of companies dedicated to re-engineering the process of producing petroleum replacements with algae as the platform in the last decade. These photosynthetic organisms are known to produce high oil and biomass yields. Their diversity is impressive; algae can tolerate and adapt to a variety of environmental conditions, and are also able to produce several different types of biofuels ranging from biogas to biodiesel, and even ethanol if desired. One method of utilizing algae is by harvesting them from their aqueous environment (such as a pond). One of the naturally occurring fuel-like molecules the organisms metabolically accumulate is triacylglycerides, which can be converted into diesel through a common organic chemistry procedure called transesterification. Their metabolic properties exploited through genetic engineering promote higher levels of triacylglyceride synthesis, ultimately increasing oil yields when they are harvested. This allows us to powerfully harness the organism’s photosynthetic abilities to create energy-rich compounds, which happen to be triacylglycerides in this case. To grow algae, the energy inputs required are water, light and carbon dioxide, and to supply the U.S. oil consumption, fewer than 4 percent of America’s continental land mass would be required to grow algae fields. This is significantly more viable than other biomass alternatives like corn and sugar cane, which would require upwards of 100 percent of the land mass. As always, the system is not without its flaws. Locations to grow the fields of algae with consistent sunlight are required, and accessible water is necessary. 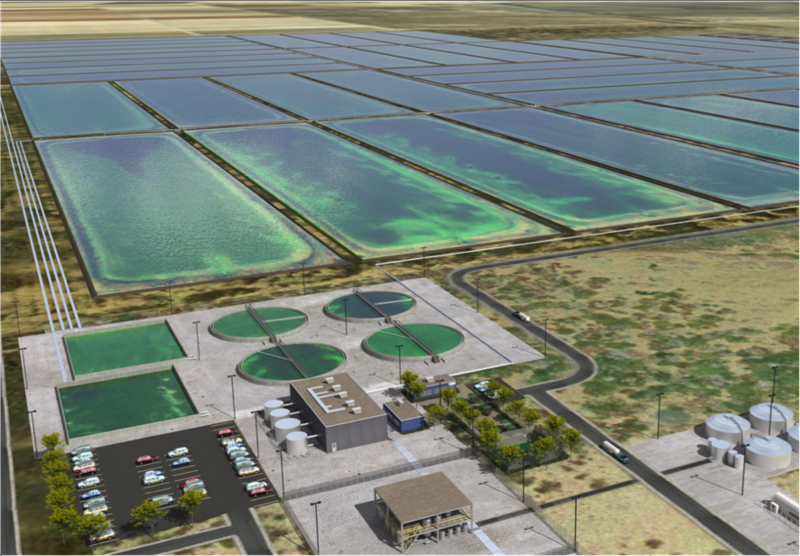 However, companies such as Sapphire Energy are growing their fields of algae in the desert of New Mexico, and the results have been exciting so far. Currently, Sapphire offers an economically viable product, “green crude” (a drop-in replacement of crude oil), which fits in with the existing infrastructure. The progress that has been made since the inception of metabolically engineering and harvesting algae for biofuel production 15 years ago has been invigorating. If innovation continues at the current rate, it may be another decade or two until this biotech has the capability to scale to a level that will relieve the dependency on fossil fuels. With this in mind, it is believable that this young biotechnology could be a solution to our inevitable turmoil well before we tap the final well of Earth’s fossil fuel reserves.